How much screen time is too much screen time? 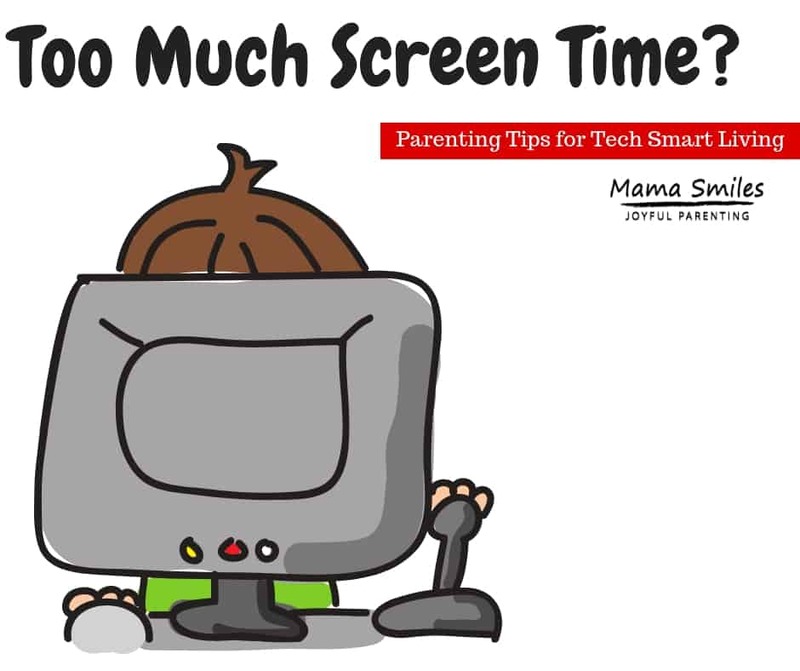 Learn how to reduce screen time and use technology wisely with kids at home. Someone recently commented to me (in an interview for an upcoming parenting summit) that my kids don’t seem to spend time online. While screen time ebbs and flows in our home depending on other things that are going on, this is mostly true. What screen time you will see in our home is nearly all educational. Screen time is a common parenting challenge, and I was asked how we managed to effectively limit screen time. Today I’m sharing my secrets. 1) I am mindful about how I use screens. We can’t as parents expect our children to moderate their screen time when we fail to moderate our own time. While I clearly spend time on screens pretty much every day (life of a blogger), I try to be mindful about when and how that time happens. The what piece of my online time is at least as important as the when and how. We use a projector instead of a television in our home in part because you think about watching television a lot less when there isn’t a gaping black hole on your wall when the screen is turned off. For other technology, my children have lists of chores they have to do before they get screen time. Then we have carefully selected screen time options for once the time is earned. Apart from family movie nights, my children rarely get more than 20 minutes of screen time in one go. This is because I discovered that my children become much more engrossed in whatever is happening on their screens as the clock nears (and passes) 30 minutes. At 20 minutes, my children will usually turn off a screen right as the timer goes off or I ask them to stop. At 30, I’m much more likely to deal with a fight for more screen time. Sometimes my kids want more than twenty minutes of time, and they are willing to spend it doing something good online. That’s fine; they just have to do something to earn the extra time. It’s not unusual for my kids to earn the extra time only to discover that they are no longer in the mood to plug into a screen. Screens tell us how to use our time, and so it can be hard for a child to know what to do once the screen is turned off. I have a home full of maker supplies, toys that are easy to share with siblings and friends, and educational toys. My house may be as well stocked as many school classrooms (I am a credentialed educator, after all), but you don’t have to take my approach. My all-time favorite way to ease kids off screens is to take them outside! Reading books (they can be from the library) is also great. Engaging with your child will make a huge difference, and anything you are doing face to face with them is a wonderful easing off screens activity. Family challenges like seeing who can build the tallest spaghetti tower work wonders. Some kids ease off screens much more easily than others. Those who struggle most often struggle to deal with daily life for one reason or another. 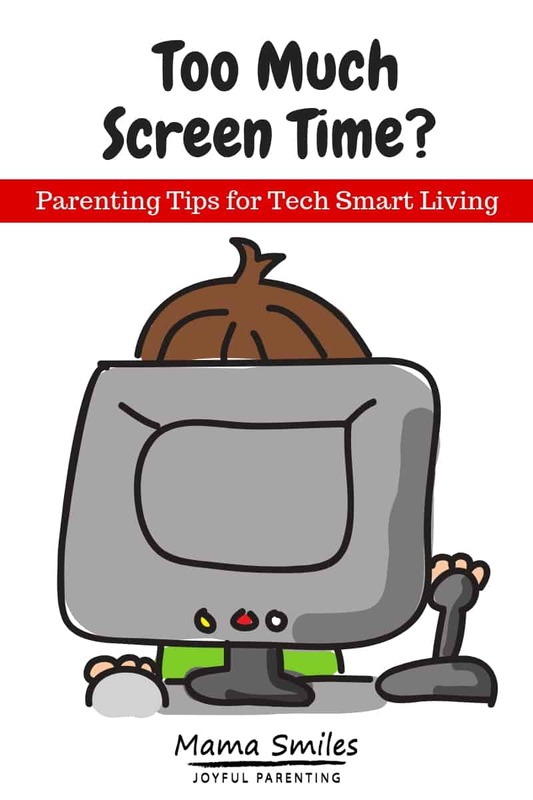 First of all, there will be times when it is okay for your child to watch a lot of screen time. I grew up in a home with nine siblings but no television, and my mother was adamant that television was terrible for kids. However, she always tempered that statement by explaining that she was never more grateful for television than when I was hospitalized with cancer. Sometimes life offers some pretty big lemons, and screens can ease the pain while we deal with those challenges. If you find your children spending more and more time on screens, don’t start beating yourself up over it. Take a look at why, when, and how screens are being used. Is something in life so overwhelming that this is how you need to cope? That’s fine; just remember to work to ease off as the crisis passes. Look for other ways to cope. Being out in nature is always my favorite. Sensory activities also work well (check out favorite stress toys, too – for yourself as well as the kids). Once you are ready to cut down on screen time, make a plan. Tell your child before the screen time starts how much time they have. When their time is up, remove the screen, or turn off your WiFi. It’s okay for a screen to simply disappear for a while, if that’s what works best. Be prepared to spend a lot of time with your child as they adjust from giving their attention to screens to interacting with the unplugged world. It’s an initial investment that I guarantee will pay off in the end. How to Break Up With Your Phone is a great resource for parents or teens who struggle to regulate screen time. How do you manage screen time in your home? Share recommendations in the comments below, on my Facebook page, or tag me on Instagram. I completely agree with the idea of limiting screen time. We relaxed a lot now, because a lot of work our daughter does for school is on the computer, but we still limit her “edutainment” screen time. I also read just recently that the time preschoolers spend on screens correlates quite well with their inability to follow directions from real people. Those are really good tips, I think when the kids were younger that is about the amount of time we allowed them to have. Now they all have smartphones, a big change, and it’s amazing to see how because we limited their screen time as younger kids, they’re not always staring at it themselves. NOW me…. I need to work on not looking at my smartphone. Great ideas to limit screen time! It’s a struggle for my son! It’s definitely harder for some kids than others!